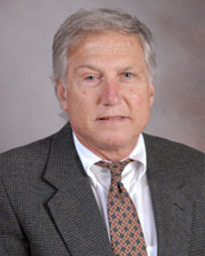 Dr. Henry Blum earned his medical degree at McGovern Medical School at UTHealth in Houston and completed his orthopedic residency at Baylor College of Medicine in Houston. He then completed his fellowship in arthritis and joint replacement at The University of Texas Southwestern Medical Center in Dallas. Board certified in orthopedic surgery, Dr. Blum has clinical interests that include arthritis, surgery and joint replacement, lumbar spine surgery and sports injury treatment and surgery. He treats adults and will treat younger patients on a case- by-case basis. Dr. Blum is committed to his patient’s wellbeing and comfort. He utilizes state-of-the-art technology to deliver the highest quality of patient care. Dr. Blum has served as the Orthopedic Section Chair at Memorial Hermann Southwest Hospital, clinical instructor at Texas Women’s University and clinical assistant professor of Orthopedic Surgery at Baylor College of Medicine. A published author and speaker in the field of orthopedic surgery, he is a Fellow of the American Academy of Orthopedic Surgeons and member of the American Medical Association, Texas Medical Association, Harris County Medical Society and the Houston Orthopedic Society.